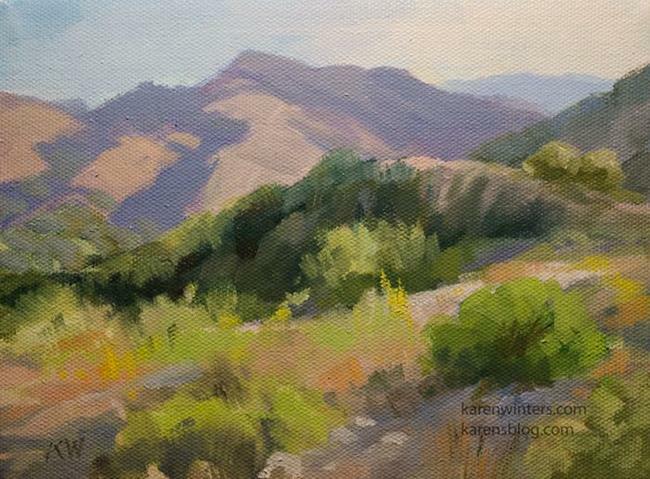 Eaton Canyon is one of my favorite local plein air spots. The chapparal is colorful any time of year. California landscape oil painting with a view of the San Gabriel Mountains in the background. In the winter, water fills the riverbed.